Word Count: How Long Should A Book Be? On one level, you could argue that word count, or length, is probably the last thing a fiction writer should worry about. Your job is to write a good story, and that means including all the detail needed to to make it good, and to leave out anything extraneous. The length should be determined by the story itself, and as long as you do your job well, who cares whether the book is 100 pages or 1,000? After all, would we really care if Michelangelo's statue of David was a foot shorter or if Rodin's Thinker was a foot taller? They would still be great works of art, no? Well.... yes and no. There are a few practical considerations no matter what form of art you are working in. For instance, Michelangelo's statue was made to stand on top of a building. It had to be big enough to be seen from the street below. And Rodin's was made to sit atop a larger work, a set of doors he called the “Gates of Hell.” So it couldn't be so big as to make the door frame look top-heavy. Authors – particularly beginning authors – also have considerations they should keep in mind. Some of these pertain publishing realities. A work that is unusually short for a novel might be more suited to be published as a novella in a journal than as a stand-alone work. A book that's exceptionally long might be more marketable as a two-volume work or a trilogy than a single book. 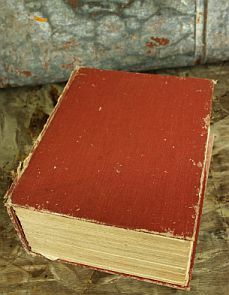 How thick should your book be? Other considerations pertain to your readers, who have certain expectations and biases when they choose books. Publishers generally understand these expectations, and new writers who meet them are less likely to be rejected than those who violate them. To take an obvious example, children's books are shorter than adult novels because children on average don't have the same attention span, vocabulary, or reading skills of adults. If you want to write novels for 9-year-old boys, who tend to be a tough audience, they had better not be three inches thick. Similarly, many people read nonfiction business books for the sake of their jobs, not out of any great love of reading. They want books that look thick enough to be worth reading but thin enough that they can be read in a few hours or skimmed in 20 minutes (good introductions are essential). On the other hand, fantasy readers love immersing themselves in imaginary worlds. They will read longer books because they love the details. Likewise, someone buying a romance novel to read on vacation may want something at least long enough to last through an entire day of sunbathing or a long plane flight. For such readers, a book that is too thin will have a lower perceived value. So what is the appropriate word count for your book? The rules are not hard and fast and different sources have slightly different guidelines. But, they generally converge. 1. Not everyone uses the term "novelette." Some people lump novelettes in with short stories. 2. By most people's standards, 40,000 words would be pretty short for a novel. Generally, 50,000 would be considered the minimum word count, and ideally a novel should be over 70,000 words. On the upper end, a novel over 110,000 words is considered an epic. That's the level where publishers may suggest dividing a story into multiple volumes. On the other end of the scale, we have flash fiction, which are the shortest of short stories Again, requirements vary according to the publisher/contest soliciting the stories. However, a story can generally be considered flash fiction if it is under 1,000 words. Some flash fiction is under 500 words. If you're writing an adult novel, the target you should aim for (knowing you won't hit it exactly) is around 80,000-90,000 words. Early readers: individual publishers set targets according to reading level, but under 3,500. Middle grade or tween novels: 30,000-45,000. Don't get hung up on these figures. They are just guidelines, and there are lots of exceptions. The only time you should get concerned is if you're very far off the mark. Keep in mind that fantasy and science fiction novels can often be longer (as discussed above). With adult fantasy books, you can add 25% to the length. Middle-grade or young adult fantasy books are often double the length of their realistic counterparts. It's also true that an established author is more likely to sell a longer novel, especially if it's a sequel to a popular first novel, since the publisher knows it will make back the higher publishing costs. As for non-fiction books, the standard bestsellers have word counts similar to adult novels. However, there is a wide range of acceptable word counts for non-fiction books. Some stocking stuffer books are very short. Pencil-thin books on narrow topics that are under 50,000 words are quite common. On the other end, reference and academic books can have huge word counts. Coffee table books and other illustrated books may have very little text, but be very expensive to print because the extensive illustrations require better quality paper. In these cases, the overall design of the book determines the publishing costs more than word count. If you want to get a target for your non-fiction book, the best thing may be to look at a dozen or so bestselling books in the genre/niche you're aiming at and see what their word counts are. (With longer books, you can get a rough count by adding up the number of words on an average page and multiplying by the total number of pages.) Do this for several books in your niche to get a targeted range. Just remember, with so much diversity in non-fiction, you have even less of a reason to get hung up on length.